Ursula, an E-RYT by the Yoga Alliance at the 500 Hour level, has been teaching for 14 years and is constantly amazed by the power of this practice to transform one not just physically but mentally as well. Ursula values the importance of getting to know oneself and adapting one’s life and yoga practice accordingly. Ursula teaches with compassion, making yoga accessible to students at all levels to develop a deeper relationship with our true self and the world around us. Through our yoga practice, we can learn how to be at ease in our bodies and listen to the greatest teacher within – ourselves. 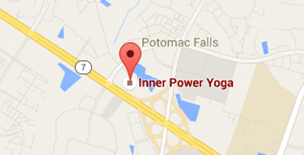 Having taught private, group classes, teacher trainings and workshops in a wide variety of venues in Europe and in the United States, Ursula is proud to have founded Inner Power Yoga in the suburbs of northern Virginia in 2003. She relocated to Frankfurt, Germany in the summer of 2005. During her three years living there, Ursula was a Senior Teacher and Director of Workshops and Special Events at Balance Yoga, Frankfurt’s largest yoga center. Now back permanently in the greater Washington DC area, Ursula is looking forward to contributing to the local northern Virginia yoga community and to sharing her knowledge about all the ways yoga can enrich our lives. Ursula has taken numerous workshops and teacher trainings taught by today’s best yoga teachers and would like to express her gratitude for sharing their knowledge to all of them. She was fortunate to spend time and to practice in Sri K. Pattabhi Jois’s shala with Guruji and his family in Mysore, India in 2007. Ursula completed Ashtanga yoga teacher trainings taught by David Swenson (First and Second Series), Manju Jois and Tim Miller; and vinyasa yoga teacher trainings taught by Baron Baptiste and Philip Urso. She also would like to thank Nancy Gilgoff, Beryl Bender Birch, Richard Freeman, Stacy Dockins and Bryan Kest for their influence on her teaching. 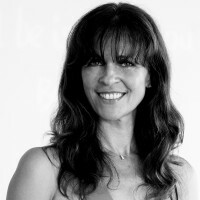 Ursula Cox was named “Best Yoga Teacher” in Loudoun County in 2013 and 2014 by both Loudoun Local and the Leesburg Times. She was also awarded a 2010 Community Leadership Award from the President’s Council on Fitness, Sports and Nutrition, an annual award given to those who improve the lives of people in their community through sports, physical activity, fitness or nutrition.